The annual Los Angeles Marathon is once again returning to the streets of the city. Inspired by the success of the 1984 Summer Olympic Games, the city has held the marathon every year since 1986. Over the years, the race has become one of the largest marathons in the county with over 25,000 participants and drawing runners from all over the world. Even if you don’t feel like running a marathon, the event also attracts thousands of volunteers and many more spectators to enjoy this annual event. 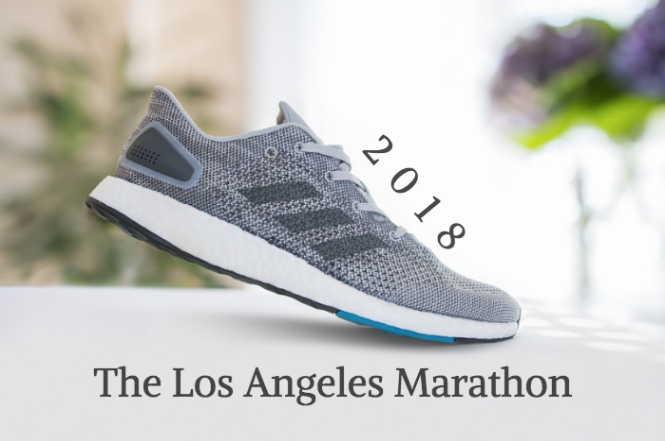 This year, the 2018 LA Marathon will take place on Sunday, March 18th at 9 am. The LA Marathon had also experienced a growth in the number of attendees and spectators when the marathon route was changed. Traditionally, the original course took place within downtown and ended at the Los Angeles Memorial Coliseum. The new road, now known as the “Stadium to the Sea” route has attendees starting at the iconic Dodger Stadium and running all the way to the sea, ending just steps away from the Santa Monica Pier. The marathon includes race participants in wheelchairs, handcycles, women, and men. Participants of the marathon must be 16 years and older. One unique aspect of the Los Angeles Marathon is the “Students Run LA” program. Started in 1987, the program offers students from East Los Angeles’ Boyle Heights High School after-school mentoring and training for FREE. Additionally, more than 95% of the seniors who run the marathon graduate from high school and more than 90% of the graduating seniors who finished the marathon have plans to attend college. This year, the marathon is sponsored by Sketchers, so the official name for the race is the 2018 Skechers Performance Los Angeles Marathon. Those interested in running the LA marathon can register at the official website. Register for this event today! Or join the thousands of spectators and cheer the runners on.